Today we are publishing the second article about the teachers in the project Learn Russian in the EU. 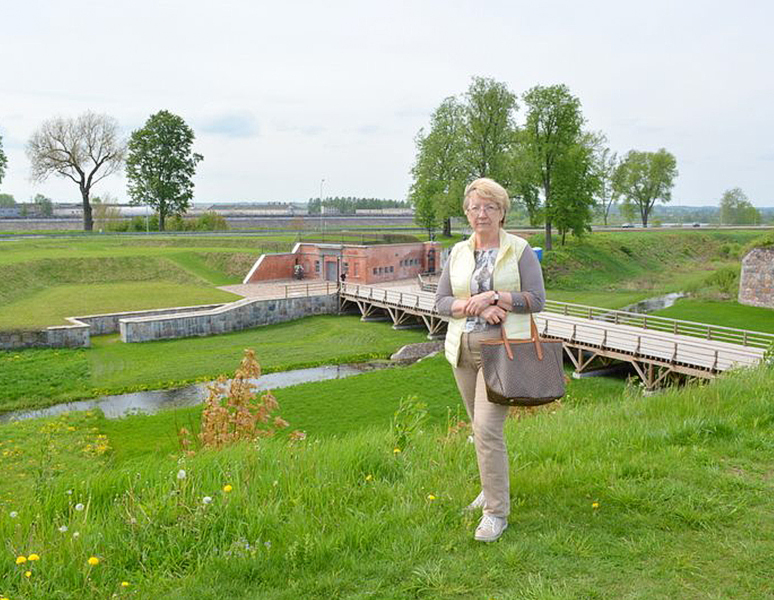 This time we talked to a Daugavpils University lecturer Galina Pitkevich. Could you tell us a little bit about yourself? Where did you study? Do you have any hobbies? I was born in Russia, in the Urals. I graduated Moscow State University, the Russian Faculty (my specialty is Russian philology. After the graduation for two years I worked in Uzbekistan – at Andijan Pedagogical Institute of Foreign Languages at the Russian Language Department . In 1979 I started working at Daugavpils Pedagogical Institute (now Daugavpils University ), also at the Russian Language Department. In 1985 I started studying for a PhD at Moscow State University, defended my dissertation on the Russian Language Morphology and in 1990 I came back to Daugavpils University . I enjoy travelling and discovering new places. I love being together with my family and friends, I love cats. I’m a keen fan of “Dinamo” Riga. Recently I took up photography but I’m not really good at it yet . How long have you been teaching Russian to foreign students? I have been teaching Russian to foreign students already for many years, in fact, since I was a student. At the university I got an additional qualification of teaching Russian as a foreign language . The students from Budapest who came to Moscow University to do a summer 4-week Russian language course became my first students . However, until the mid-90s I mainly taught Russian as a native language . 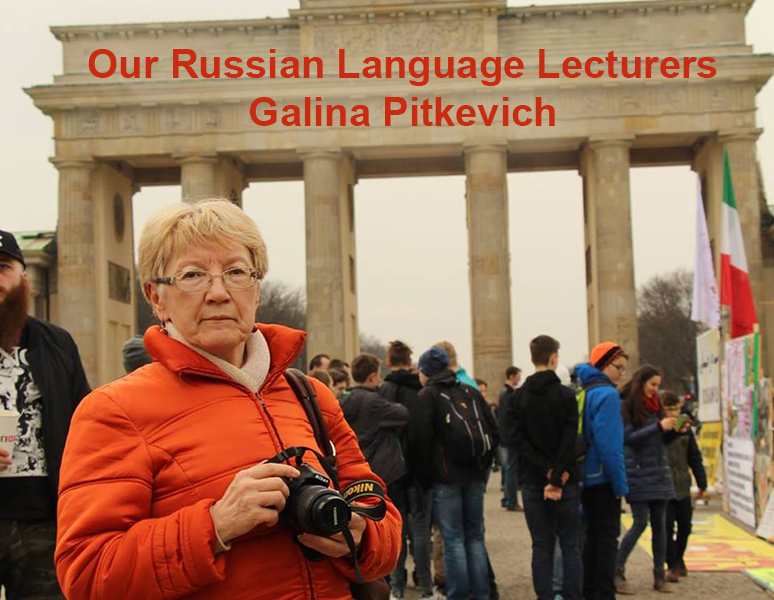 Only after Latvia regained its independence, and foreigners were coming to Daugavpils, I began to teach Russian as a foreign language on a regular basis. Are there any special aspects of teaching Russian to foreign students? Teaching Russian as a foreign language is definitely different from teaching Russian as a native language . People learn to speak in their mother tongue unconsciously, without even thinking about it, while they study a foreign language deliberately, as a rule, when they already have their linguistic skills formed; these linguistic skills for their mother tongue are very difficult to overcome. Therefore, in the beginning the linguistic system of a mother tongue influences the linguistic system of a foreign language. It explains a similar accent of foreigners who speak the same mother tongue . For example, we can easily distinguish between Germans who speak Russian and Americans or French. What challenges do foreign students face most often? Russian language is not an easy language, therefore foreign students “suffer” from cases, agreement between adjectives and nouns, numerous verbal prefixes, impersonal as well as indefinite-personal constructions; the letter Ё missing in texts drives them mad, etc. What about the age of the students you work with? I usually work with students from 18 to 40 years old. What programmes you are involved in, and what programmes are most popular in your opinion? At the university I work in Bachelor’s, Master’s and PhD programmes “Russian Philology”, as well as a professional Bachelor’s programme “Eastern European Business and Cultural Relations”. Nowadays professional programmes are much more popular than the academic ones. Therefore, foreigners study Russian not just as a foreign language but as a language for their speciality . Could you say a few words to our students? I wish you to stay patient and don’t lose the interest to Russian . This was the second short interview with our teachers. In the future we are going to publish even more interesting things, don’t miss them!